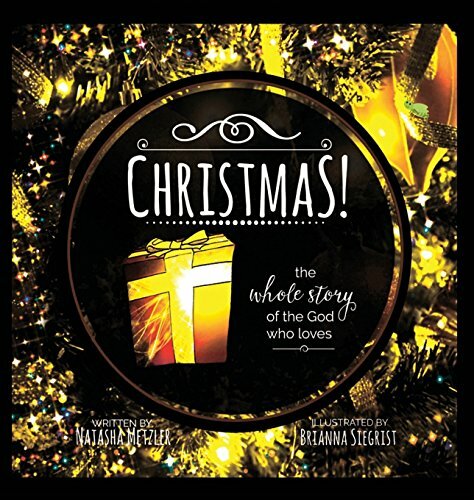 Share with your children the whole story of the God who loves! Do your children know that Christmas was a rescue mission so that people could be friends with God? Through this Advent storybook, you can introduce your little ones to the loving God, the Savior of mankind, and the meaning of His birth. Every day features a 1-minute, easy-to-read-aloud story, with colorful, fascinating artwork, and a friendly little bug to hunt and find somewhere on the page. The 25 engaging stories spanning the entire Bible will make sharing the true meaning of Christmas with your little ones a simple and fun task. This Advent experience has children eagerly anticipating each new day’s story asking things like, “Is today the day? Is this the day that the man comes to beat the snake?” The final day when the story reveals that it’s God Himself who comes, one little boy looked up with a grin and said, “Figured it would probably be Him. Since He loves us so much, I mean.” The author tells how the book came to be. “One year I set up an Advent calendar of Christmas activities, and started looking for an Advent book to share with my little charges the greatest love story of all eternity. “Except, I couldn’t find just the right one. There were lots of books that were beautiful and interesting and would have been amazing, except they were all missing some element that I desperately desired. — I needed a book that started at the beginning, that told the story from the moment God existed and nothing else did. — I needed a book that was short and to-the-point, because these rambunctious boys were not going to stay focused for more than a few minutes. — I needed a book that told the whole story– how Jesus was promised from the garden and everything we learn after that just pointed to Him. “So, what does any writer-of-a-woman do? I grabbed a composition notebook and pencil and a box of crayons, and made my own.” Share with your little loved ones the Christmas story of the One who created Love itself. Gretchen is a farmer's wife and mommy to their four curly-haired children. Their home is filled with overflowing bookshelves. 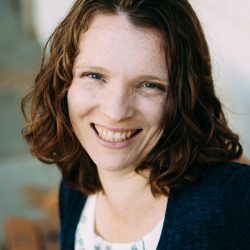 When she's not reading, Gretchen is blogging about books or coding WordPress websites for authors and bloggers.